Jessie Street Designs: READY, SET......READ!!!! Happy Monday everyone and welcome to the first month of Ready, Set....READ! 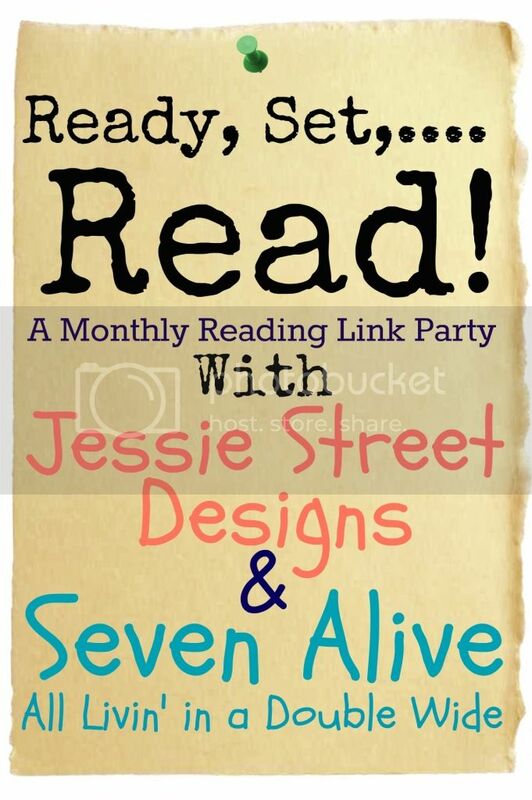 Kadie from Seven Alive and I are so excited to be launching this new monthly link party. 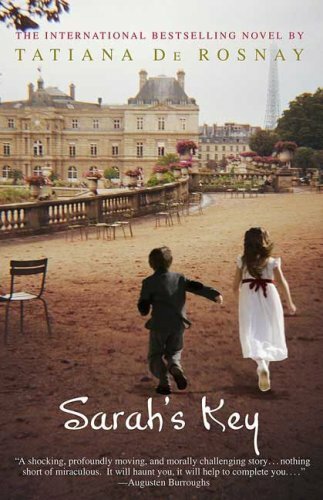 This month, I read "Sarah's Key" by Tatiana de Rosnay. Sarah's Key is a historical novel that tells the story of the 1942 roundups and deportations, in which thousands of Jewish families were arrested by the French police, held at the Velodrome d'Hiver and then transported to Auschwitz. The novel is told from two perspectives - 60 years apart. The first is that of ten year old Sarah, whose family is brutally rounded up during 1942. In order to save her brother, Sarah locks him into a cupboard of her families apartment thinking that she will be back within a few hours to let him out. The second story is that of Julia, an American journalist who currently lives in Paris and is asked to write a story about this terrible day in France. Through her investigating she stumbles upon her personal connection to the Roundup. The more research she does, the more she starts to question her place in France. I LOVED this book. It is incredibly well-written and the story will stay with you long after you finish it. I could hardly put it down and honestly finished it within a day. It will make you sad, it will make you cry - but most importantly....it will make you remember. This should be a must read on everyone's list. So how did you like your book this month...link it up! Have you read Sarah's Key and want to share your review...link it up! Did you read a book and then do a craft about it...link it up! And as if reading a good book isn't reward enough....when you link up, you are automatically eligible to win this awesome prize package that Kadie and I created!! A beautiful handstamped necklace that the lovely and talented Kadie made and a super cute glass case made by yours truly:) WHOO HOO!! Great Review girl!! This is totally going on my to read list!!! I loved that book too Terry! Hi, I am so excited to have found out about your blog and your Ready, Set, Read challenge. I heard about it from Adrianne at Happy Hour Projects. I am a voracious reader and am so happy to have somewhere to share books and learn about new ones. I read Sarah's Key with my book club about 2 years ago and loved it! Thank you for offering this to all of us. I look forward to being a part of this. Sorry, should have asked this in the above comment, do you want me to review a book I have read in June, or since it is almost July 1st, do you want me to tell you what book I will be reading for July? Please let me know so I can "catch up" with you. Thanks! Looking forward to reading your post! !